There has been a significant increase in the variety and types of business apps that are being downloaded, with more consumers turning to mobile apps to interact with brands. In fact, it is estimated that between 2016 and 2020, yearly downloads will double to roughly 284 billion. As such, it has become increasingly important to have a comprehensive strategy and successful app launch in order to compete in this competitive landscape. There are many things to consider when creating, designing and launching an app. 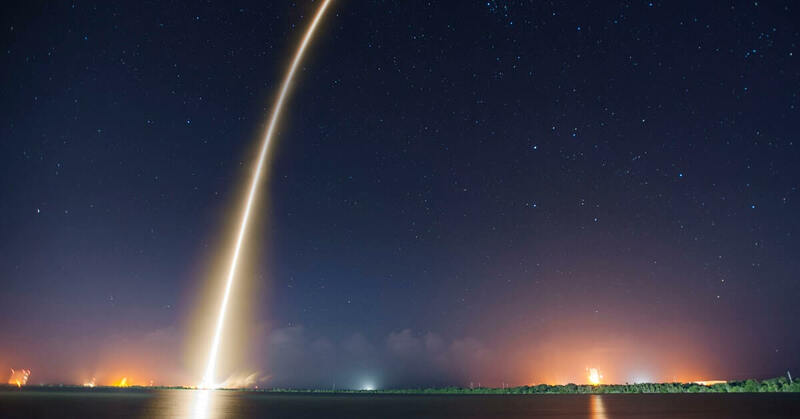 To help you through this journey, here is a list of key steps for each launch stage that will help you to achieve app success. Keep in mind, it can be helpful to assign tasks a project owner and due date for accountability and measurement. Market research is an essential first step in developing an app as it identifies whether there is demand for your product and shows the opportunities for differentiating yourself from the competition. Unless your app concept is niche or highly unique, there is a good chance that you will find similar apps already in the market. Running a competitive analysis involves pinning down exactly who your competitors are. It is important to gather a full understanding of who is competing in this app space, what they’re offering, and what you can do different or better to achieve success in the marketplace. Research apps with similar features, themes and visual styles, and take note of how well they’re doing in the market. It is important to ensure your concept does not merely replicate competitor apps, instead leverage these insights to target opportunities and provide consumers with an app that offers real value. Understanding your competitors, their product and market advantages will help you differentiate your app and ensure you don’t end up going head-to-head. Testing your app on real users before launch is vital. Things that seem obvious to you may not be clear to anyone else, and, users might not use your app the same way you intended. Therefore, getting early conceptual feedback from your target market can help validate your app design and avoid expensive errors. Undergo user testing to understand exactly how users will use your app and leverage these user-centered design insights to deliver a superior app. Building an interactive mockup is a powerful tool for gathering crucial feedback on your app design and user flow. Get your app tested by potential customers – this will give you a better idea of how your target users will navigate through your app and which sections need improvement. This will allow you to iterate your design quickly and thoroughly, avoiding any re-work down the line. Encourage these test users to become early promoters of your app and to review your app on launch day. The testers can become ambassadors of your app and help you get your first reviews in the app store. Measuring and monitoring app engagement and usage behaviour through in-app analytics can provide invaluable insights into how to enhance the user experience and optimise your marketing strategy, safeguarding your apps future success. Define a powerful analytics strategy to obtain the relevant information needed to measure the performance and success of your app. What metrics are the most interesting and useful for your business model? Select the KPIs that are most relevant for your target audience and business goals. Implementing a comprehensive mobile analytics platform can be an essential strategic tool for optimising the user experience. Which app features are drawing users in? Are users dropping off in any particular section? How often do they use your app? Leverage insights like these to engage users with targeted and personalised campaigns that will increase loyalty and retention. Nothing kills app growth faster like a low star rating – your app’s visibility and downloads will decrease if store ratings are low. For this reason, store reviews should not be the first stop for user feedback or reporting issues. Creating an easy to use feedback channel within the app encourages communication and conflict resolution with the user whilst helping prevent negative public reviews. Consider building a readily accessible and intuitive in-app feedback and customer service channel for users to reach out to you. Adding a feature that enables users to report complaints, suggestions or ask for help will decrease the chances of a negative user experience and significantly boost app retention. Beta testing is a crucial step before launching your app. The main goal of beta testing is to get real-world experience on how well your app will perform with actual users. Gaining a deep understanding of your users’ needs, the context of using the app, and pain points, is key to developing a successful app. The beta release is to find bugs, test interactions, and other implementation-based things like loading times, that’s is why it is extremely important. Your beta users will serve as the ultimate test group and should be accurate and thorough critics of your app. These testers will help you detect errors in your app’s beta version related to user-friendliness, bugs, navigation problems and performance on different devices etc. Gathering these insights can help ensure you have the most effective user interface for your app. It is important to pick an appropriate launch date for your app. Select a launch date with a goal set in place. This allows you to plan development timelines and marketing activities around the release schedule. There will be multiple things that need to be coordinated, so keep a checklist for your launch. Remember to keep track of any major announcements from key players in the ‘tech’ world. This will allow you to ensure your app release date does not coincide with other tech events – you don’t want your app launch to be overshadowed. Don’t make the mistake of starting your marketing plan once your app is developed. Successful apps are promoted well before they hit the app store. Once you have your core features down, get your marketing team involved and start brainstorming ways to spread awareness of your app before you release. This will help generate strong awareness of your app that could bump you to the top of the store on launch day. Marketing an app requires planning and leveraging a range of marketing mediums and techniques. It is recommended to divide your app marketing plan into 3 campaign phases: pre-launch, launch and post-launch. It is best not to limit your presence to the stores and create a web landing page for your app – it’s never too early to start building buzz and create a fan following. Design a clean landing page that showcases your app’s screenshots, features, and launch date. The idea is to create a simple yet engaging landing page with call-to-actions and a contact form to collect email addresses of interested potential users; providing a great opportunity for promotion. Invite users to sign up for launch notifications and offer social media sharing tools for fans to recommend your app to others. During app development, it is important to focus on extending your network. Reporters and bloggers can help generate awareness of your apps upcoming launch. It’s important to know who are the most relevant people in the industry and in your specific target market so you can reach out to them and promote your app. Identify key influencers and reporters who may be interested in your app. Try and reach out to bloggers that are considered key influencers by your target audience. Research the publications that cover and review apps that fall in the same category as yours, and identify who at each publication would be most excited about your app. It can also be valuable to participate in communities popular with your target audience. Visit any forums that might be relevant to your market, and start engaging with the community. Keep in mind that you’ll want to reach out to your full list of researched reporters and contacts on the day of launch. Choose a handful of reporters to reach out to and be sure to let them know the specific date and time that the app will be released. Social media is an excellent platform to drive organic growth and engagement for your app. Promoting your app through social media channels allows you to create hype and drive traffic to your landing page and the app stores. You want to establish a presence for your app on the major social networks ahead of time. Set up your official social media pages before app launch to build brand awareness on all relevant platforms such as Facebook, Twitter and Instagram. Utilise these channels, as well as blogs, to market your app and reach out to your target users community. Another way you can leverage social media is by integrating it into your app, that way users can share and promote your app with ease. Using social media during all 3 key stages of app launch will help you identify your app audience, generate downloads and build engagement with potential users – converting them to loyal fans. Post feature previews and demos to build interest and point users to your landing page so they can join the waiting list. Videos formats tend to generate higher engagement and they are one of the most expressive and effective ways to show off your app’s interface and capabilities. So take advantage of this and promote your app with video. Promotional videos offer a visual way to convince someone to download your app, therefore it is worthwhile to invest the necessary resources to make it compelling. Creating videos provides you with the opportunity to establish a voice and communicate the value of your app. For example, a demo video allows you to offer a ‘sneak peek’ of your app and demonstrate popular features; essential for driving organic downloads. Try to create a video that captures the essence of your app in a one-minute pitch. It is important to demonstrate app interactions and identify whether the app is available on iOS and Android. If a journalist or blogger can’t find information about your app, they might lose the motivation to write about it. Avoid this by creating a press kit in advance; a single file where they can access everything they need to write about your app. Be sure to include the following information: a press release, store icon and screenshots, video demo, app description, previous reviews and company information. Ideally, reporters and bloggers should be able to publish content about your app right when it launches. Have your press kit ready to go so that you are able to send a copy immediately when needed. Both Apple and Google provide checklist guides for housekeeping tasks related to launching apps. It is important to check these official guides before launching your app and uploading it to the stores. You can also research other app submission guidelines for the App Store and Google Play. Make sure to spend time reviewing the rules and guidelines that apply to each store before you attempt to submit your app. Unsurprisingly, a global market has more potential than a regional one, therefore, it is important to make sure your app is built to support going worldwide. Localising apps for your target audience is a good business practice that requires you to add appropriate resources to your software to ensure that a given country, locale, language, or culture is supported. This means changing the language depending on location, ensuring your app is accessible to all your markets. If it isn’t in the plans for the initial launch, then localising your app is definitely a worthwhile investment to consider later down the track. Since one of the major methods of app discovery is still through app store search, it is important to invest in App Store Optimisation (ASO) strategies. ASO provides the foundations to rank higher in the marketplace; the higher an app ranks in a store the more discoverable it will be to potential users. Therefore, in order to achieve organic, long-term growth you will need to optimise your app store listing – the success or failure of your app could depend on it. Making your app stand out in the store will help you get a fair amount of initial downloads. Look into the search terms your competitors are ranking for and take note of their ASO strategy. It is important to test and optimise your app’s name, keywords, description and all of your visual assets including your app’s icon, screenshots and preview video. Try leveraging your target markets trending search terms to help with your app’s discoverability. Remember to reiterate your designs based on the feedback gathered from techniques like A/B testing. Press is the best way to kick-start your app, and the best way to get press is to manually reach out to journalists. It is time to implement the press kit you prepared earlier and contact the list of reporters, bloggers and influencers you built. Check in with them to remind them when you’re launching and when to announce. An article from a major tech blog is a great way to increase traffic and download rates. Remember to send information about your app’s launch to popular app review sites and any other publications you think are relevant. Obtaining as many positive reviews as possible on your app’s release day is key. This is the only way your app will stand out on the store’s homepage, gain visibility and achieve organic downloads. A good average rating is one of the best ways to attract new downloads from users browsing the stores. Start with your app community, friends and family, and most importantly, your test users. Make sure to also alert your email list from your landing page about your app’s availability. Paid acquisition can be expensive to use for ongoing growth, however, a limited app launch campaign is a good way to build initial awareness and downloads. Therefore, paid ads are an effective strategy to give your app the necessary boost to gain visibility during the first few days and kick-start organic growth. Engaged users are more likely to convert, make in-app purchases, and give you positive reviews – they are the most valuable users. As such, re-engaging them to is a definite must-do. Once your mobile app has launched it is important to plan how you will continue to engage users. Consider how you will build user engagement with techniques like push notifications or in-app messaging. Promote engagement with special offers and discounts, customised content, reminders, and other valuable information your users are looking for. Even encourage ratings and reviews with timely and relevant rating prompts. Make sure to optimise the frequency of your marketing communications, in particular, push notifications. In the mobile age, consumers expect businesses to understand their preferences with targeted ads and content. It is essential for app success that your message is relevant and personalised to your users. Couple your strategy with personalisation to tailor the user experience and create campaigns that speak to individual audience segments based on their interests. Furthermore, leverage app analytics to identify what content is engaging users most and use this to form your messaging strategy. Take advantage of geolocation tools on mobile devices that allow you to deliver personalised and relevant messages to users based on their location. Measuring and monitoring key metrics allows you to understand your users and their usage patterns. This information can identify where and how your app can be improved. For example, in-app analytics can provide insight into the popular ‘flow’ of your app, as well as any screens or issues that may be causing app dropouts. Keep in mind, app analytics are not a siloed entity, but rather should be integrated with all channels where your brand is collecting data. Monitor your app store ranking, trends in download growth, feedback streams, reviews, and social signals to assess your app’s performance and customer satisfaction. Social media can offer valuable insights into the user sentiment and perception surrounding your app. These channels are often the first place users go to complain when something isn’t working. It is important to monitor your app’s performance not only through in-app analytics but also through reviews and mentions on social networks, Google Alerts or any other means. This will allow you to gain a comprehensive understanding of your app’s position in the marketplace. It can also be useful to keep track of social media analytics in order to find out which channel is working best for app promotion; this channel may benefit from paid advertising. Keeping up-to-date with what users are saying about your app can highlight aspects of your app and marketing strategy that could be improved to obtain better success. Utilise these insights to evolve your strategy and create updates and new features aimed at enhancing the user experience. In such a fast-changing and evolving landscape, being able to iterate, learn, measure and react quickly to your user’s needs is critical for app success. To provide a mobile app with lasting popularity, it needs to maintain ongoing development and updates. As such, you will need to commit to releasing continuous app updates to fix bugs and release features that keep users coming back for more. Leveraging analytics can provide insights into where and how your app can be improved, safeguarding your app’s future success. Which app features are drawing users in? Are users dropping off in any particular section? How often do they use your app? Use this information along with user feedback to develop new features and future updates that are important to your users and their app experience. Users tend to prefer an updated app where potential bugs have been smoothed out over an app’s first version. Release your first update to fix any bugs or other major issues your customers indicated. Lock in a product roadmap to make sure you continue to improve and innovate your app. As you continue to develop and add features to your app, be sure to keep your PR network informed. Leveraging analytics can help you understand where to focus your marketing efforts and how to effectively engage app users. These insights allow you to iterate and refine your app marketing strategy. A solid marketing plan will help drive new app installs and re-engage target users – promoting app loyalty and retention. Your marketing strategy will need to evolve as your app user evolves. Think critically and creatively to come up with concrete ideas and plans to grow the success of your app. This might mean expanding into other value paths, targeting new audiences, and even re-defining the direction of your app roadmap. Paid promotion campaigns can also help keep your app visible in the market and extend the momentum that your launch has already gained. Launching an app may be something that is done once, but your mobile app journey doesn’t end here. Remember to keep promoting, evaluating and improving your app strategy in order to achieve real success. At Liquid State, we understand the importance of implementing enterprise app software as a part of corporate strategy. Our platform empowers businesses to build code-free apps for a variety of business functions. To chat with a professional about your future mobile app needs, contact us today.